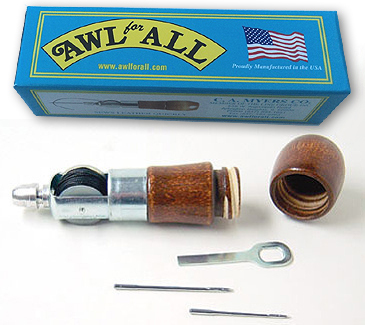 Dealer Inquiry - AWL for All from C.A. Myers Co. If you are interested in carrying Awl for All products in your store or website, please Email us to receive pricing and more Awl for All wholesale information. If you would rather contact us by phone, we’d love to hear from you at 847-593-1651. As always, we appreciate your interest in Awl for All products. We are committed to building a mutually rewarding and successful relationship with all of our customers. We want to do our best to make sure that we take care of your needs so that our relationship can span for years into the future. Consequently, we put a lot of thought into which distributors we will partner with. We like to get to know the people and businesses that will be selling our products! Please share your company information with us.